See the life cycle of these prehistoric creatures from the moment they hatch. 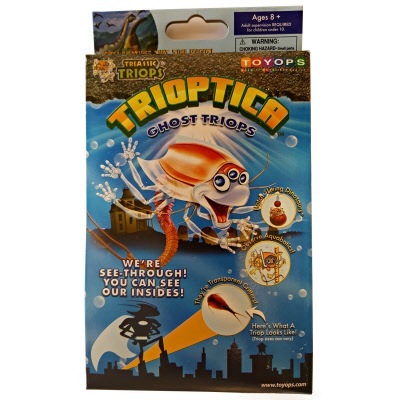 This species is called Ghost Triops because they are transparent! The triops’ unusual life cycle allows them to survive the seasonal drying of the temporary ponds where they live. When the ponds dry up, all the adults die, but the embryos survive in the egg by entering diapause, an actual case of suspended animation! Our triops are bred in a laboratory and not taken out of their natural habitat. The Big Time Toys Magic castle is a wonderful addition to the sea monkey line and makes a great gift for girls into the princess things and boys into princes, dragons and war toy.